Ella Dining Room & Bar celebrates the tradition of dining that shares the joy of food, friends, and community with fresh entrées. Bringing forth Ella’s passion for food and dining to their web audience. 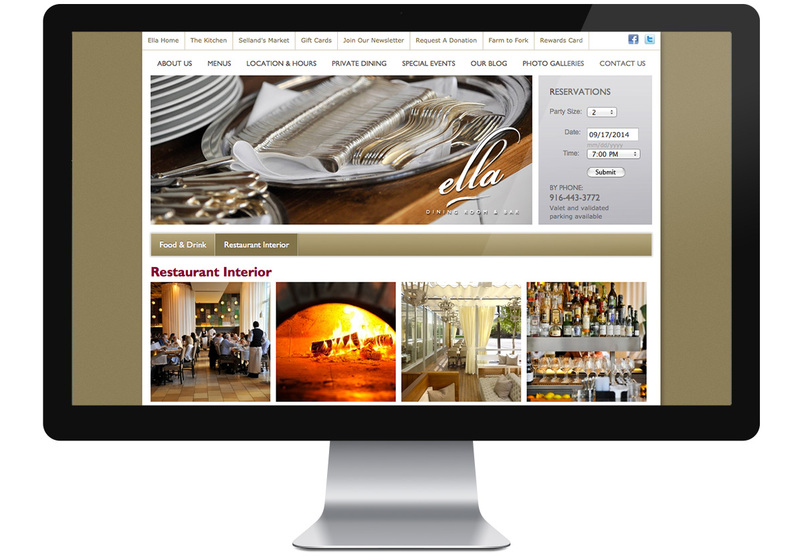 Ella Dining Room & Bar needed a new web presence that allowed for social media integration, quick and easy content management, and the ability to share information between each of their three restaurants, connecting all of them in a seamless backend. 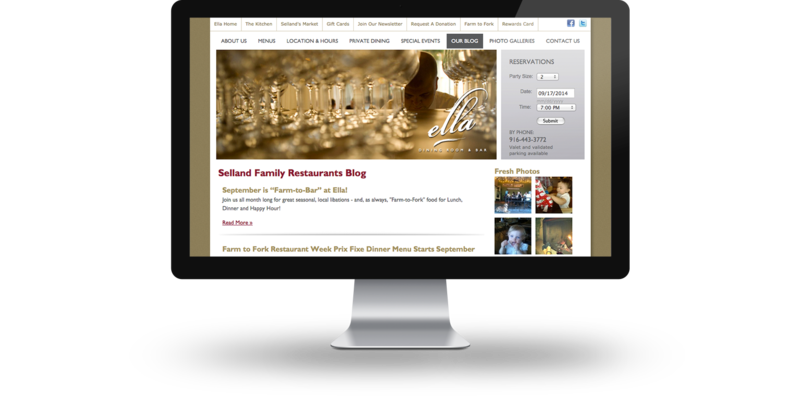 To meet the project’s goals Three29 worked with the Selland Family Restaurants to design and build a custom content management solution. Social media feeds from Twitter and Facebook commenting were integrated to allow their visitors to better connect with the Ella brand. 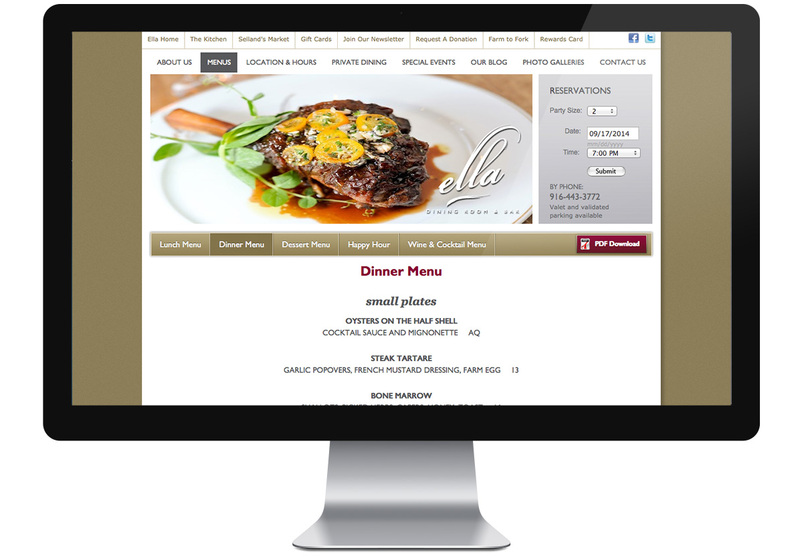 From the CMS integration to a new web design, the Ella Dining Room & Bar website is custom from the ground up. Each section of content is specifically organized and designed to best accommodate their content and amazing imagery. Three29 created a completely new website with search-engine-friendly text, custom content management, social media, and email marketing integration. Ella Dining Room & Bar can now connect with their visitors on a whole new level.